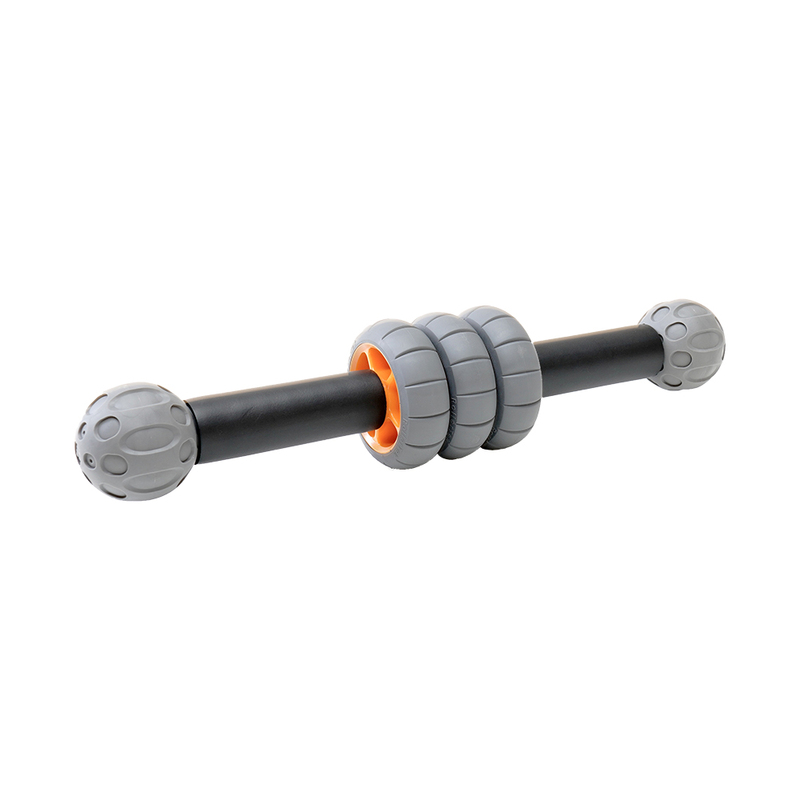 Designed to provide you the latest technology of effective tools for massage and muscle tension relief. The RTPro Massager-4 Kit (M4) combines multiple massage and pressure point therapy tools that can be used individually, with a workout partner or by a healthcare therapist. The M4 gives you an extra wheel for more surface area compression for larger individuals. You are going to love the relief this kit brings before, during or after workouts. Increase blood flow and circulation with massage to soft tissue areas resulting in decreased soreness and pain, and improved range of motion. 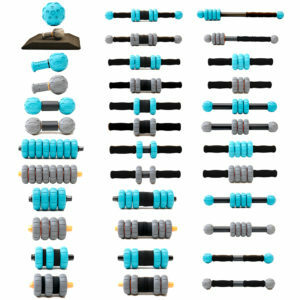 This kit also gives therapists like Masseuses, Athletic Trainers, Physical Therapists and Chiropractors tools to assist their clients needs with reducing muscle tension levels. 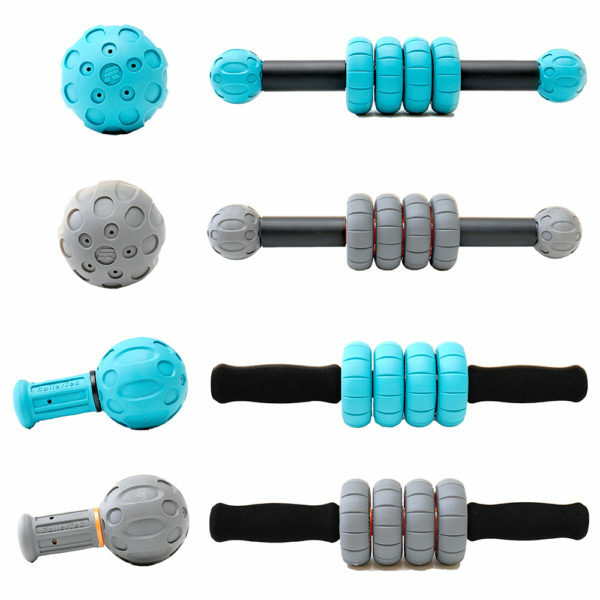 The RTPro Massager-4 Kit allows you to configure your own extra large massager suitable for larger people. 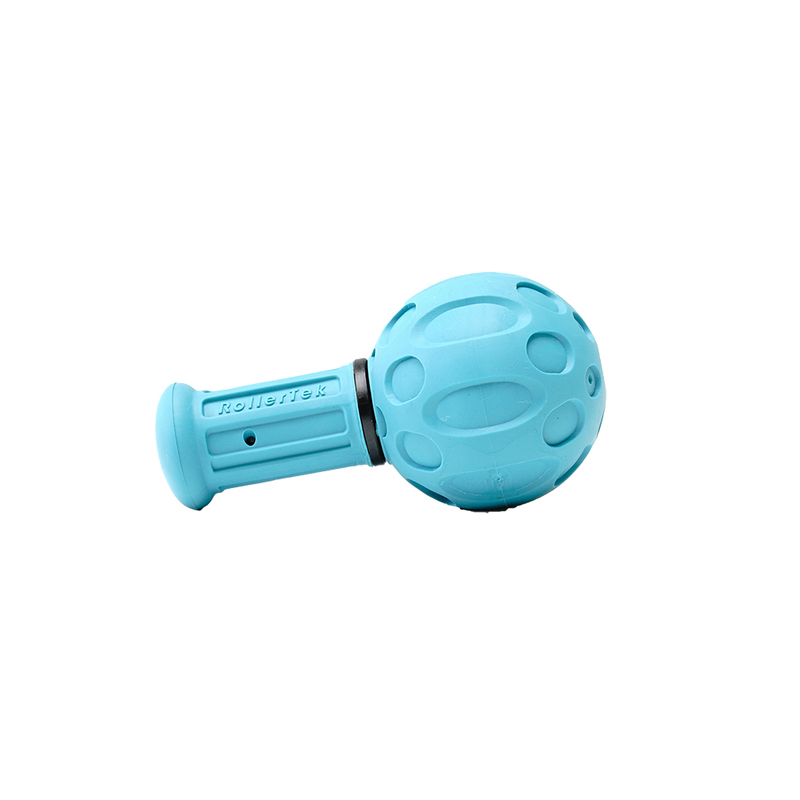 4 different massager configurations and RT Pressure Ball are all found in this one RTPro Massager-4 Kit. You will find this kit very “user friendly” as all parts are interchangeable and its easy to travel with using the provided drawstring backpack. Payment processing secured by PayPal.com. Prior to beginning any new exercise or therapeutic activity it is recommended you consult with a physician. Do not rely on information or products provided by RollerTek, LLC to diagnose or provide treatment for any disease or physical condition. Serious injury, including fatality, can result if used improperly. 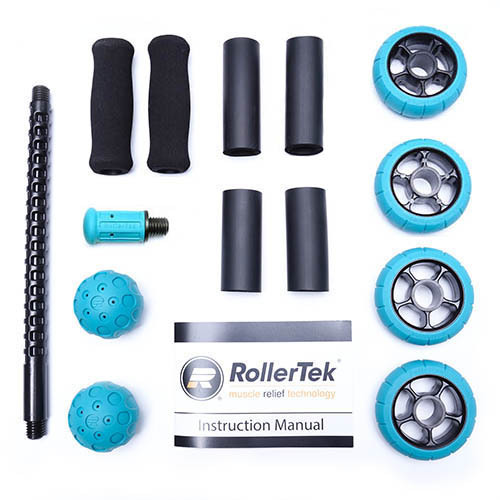 Read all instructions and precautions before using the products from RollerTek. Always use RollerTek products with caution and common sense. 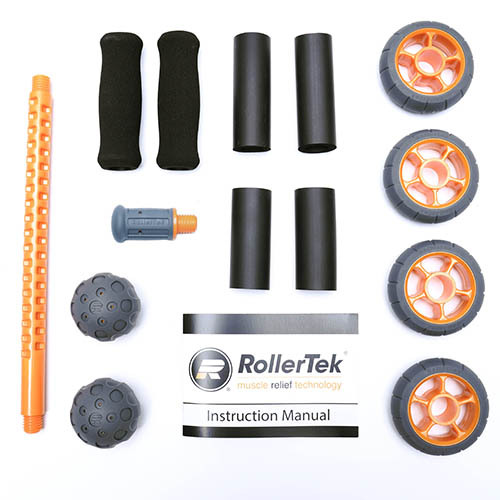 It is recommended RollerTek products used by anyone under the age of 18 be supervised by an adult. Before each use, inspect the product and assure its integrity and proper assembly. 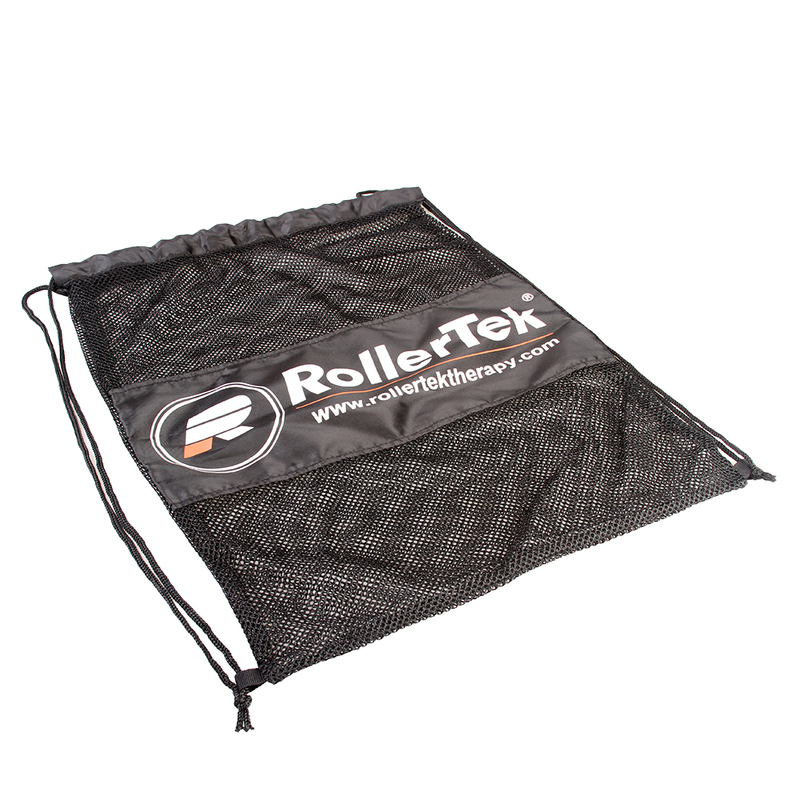 If there are any issues regarding this product please contact RollerTek for help.